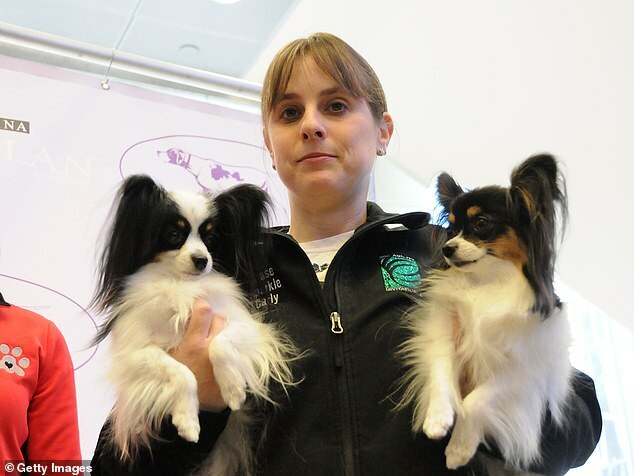 A three-year-old Papillon named Gabby was a crowd favorite at the Westminster Kennel Club dog show this weekend — because, despite her tiny little legs, this very good girl can run very, very fast. 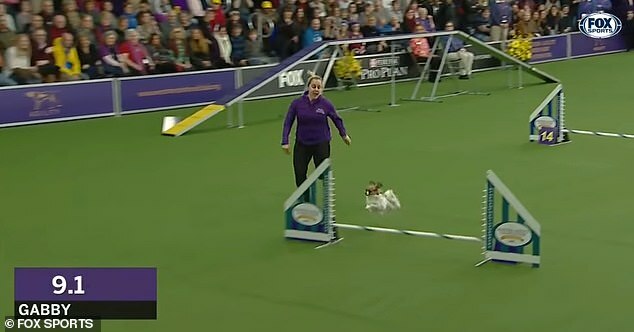 Video from the dog show shows Gabby, with her cute fluffy ears and little paws, racing through the obstacle course during the agility preliminaries. 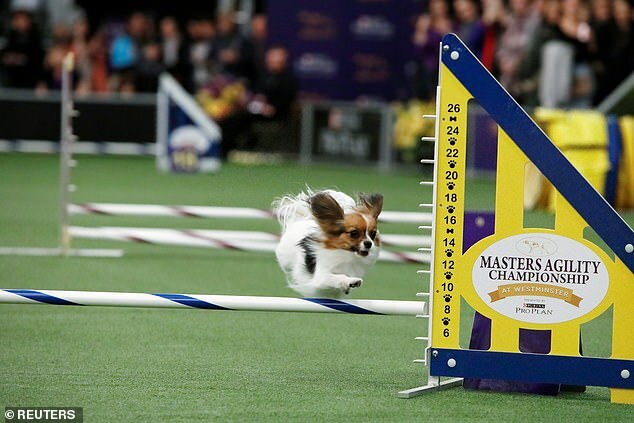 The perfectly-trained pooch runs with impressive speed, jumping over hurdles, climbing up ramps, and even slipping effortlessly in and out of weave posts. Gabby’s skills on the tricky obstacle course has certainly earned her some fans, and the crowd can be heard cheering as she tackles each of the tasks. Her tiny legs move at Olympic speeds as she takes on jumping through hoops, whizzing through tunnels, and climbing up one side of a see-saw and waiting for it to lower her on the other side. All of this was done at the direction of her handler, Andrea Samuels, who throughout the course pointed Gabby to where she should run next. Gabby finished the entire course with a time of 39.31, beating out every other canine competitor in the 8″ division. In second place was another Papillon, Lark, with a time of 43.20. 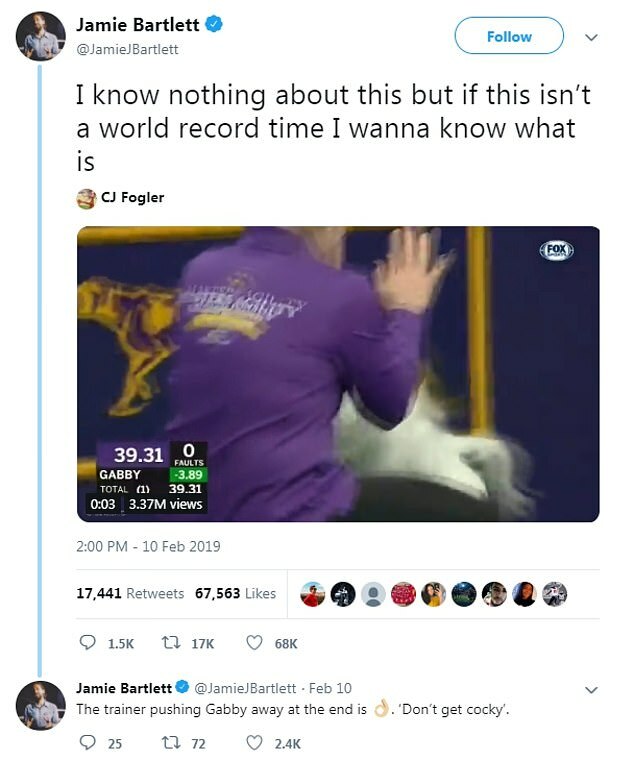 Though she lost out on the Grand Champion title, that honor went to a 20″ border collie named Verb — who, naturally, has much longer legs and can cover more ground in less time. Dog show fans on YouTube are quite impressed with Gabby, and can’t help but feel happy while watching her run. ‘Wow!!! 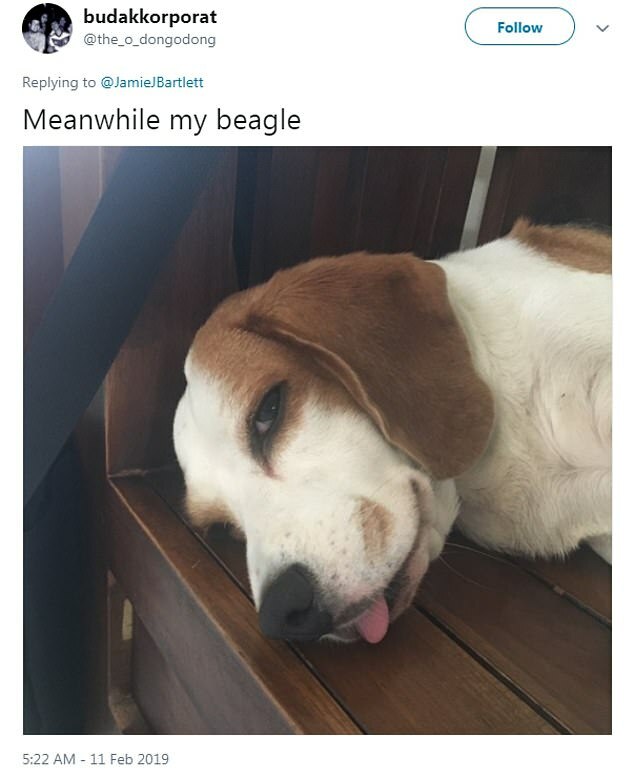 This should be Usain Bolt’s dog,’ wrote one. This is the 143rd Westminster dog show, and 2,879 dogs are on hand to compete in different categories. The show ends today with the final winners being crowned tonight.